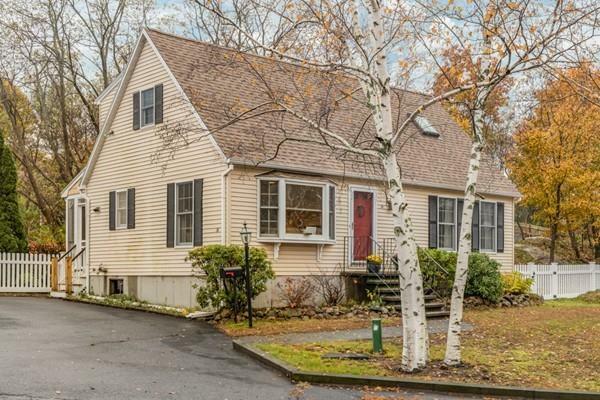 Cape Cod style home in a terrific Riverdale location on a corner lot close to Dogtown Common and O'Maley School. Built in 1990, this Cape features a full shed dormer in the back, making the second floor spacious and bright with 2 large bedrooms and a full bath on the second floor and another bedroom (currently used as a play room), full bath and den on the first floor. The flexible floor plan offers many possiblities for single-level living, formal dining room, home office or addition bedrooms. Vinyl windows and exterior, for easy maintenance. New heating system and roof in 2017. Enclosed screen porch off of eat-in-kitchen. Property has lovely corner lot with mature plantings and perennial gardens, a sprinkler system and home security system, radon remediation and French drain in the full basement. Storage shed and wonderful fenced in yard with a garden enclosure to grow your own fresh vegetables!